A-HOTEL.com - Luxury and cheap accommodation in Klyuchi, Russia. Prices and hotel, apartment booking in Klyuchi and surrounding. Boasting a bar, Vash Hotel is located in Yuzhnoural'sk. All rooms boast a flat-screen TV with satellite channels and a private bathroom. Located in the city centre of Yuzhnouralsk, just 200 metres from the Central Square, Hotel Persona features free Wi-Fi, air-conditioned rooms and a shared lounge. The Central Library is a 5-minute walk away. Located in Yuzhnoural'sk, Blagodat Hotel offers barbecue facilities and free WiFi. Boasting a 24-hour front desk, this property also has a restaurant and a children's playground. Set in Yuzhnoural'sk, Hotel Vivaldi provides free WiFi. Boasting a 24-hour front desk, this property also provides guests with a restaurant. Boasting a terrace and bar, as well as a restaurant, Olimp is situated in Yuzhnoural'sk. Featuring a 24-hour front desk, this property also provides guests with a children's playground. Mini-hotel Zhemchuzhina in Yuzhnoural'sk has a terrace and a shared lounge. A hot tub is available for guests, along with an indoor pool. Featuring a garden, Благодать is located in Uvel'skiy. This 4-star hotel offers a bar. Situated in Kichigino, Baza otdykha Teremok features a private beach area and free WiFi. Featuring a 24-hour front desk, this property also provides guests with a barbecue. Providing free WiFi, Hotel Uezdnaya is set in Troitsk. All rooms boast a TV with cable channels and a private bathroom. Featuring free WiFi throughout the property, Hotel on Sovetskaya offers accommodation in Troitsk, a 5-minute walk from the public park area. Guests can enjoy the on-site restaurant. Free WiFi and breakfast are provided at this hotel, located in central Troitsk. It is a 5-minute walk from the Holy Trinity Church and is a 10-minute walk from the shopping district. Baza Otdykha Uzhniy Bereg features rooms in Shelomentsevo. The property provides a children's playground. Providing free WiFi, Hotel Uyut is set in Korkino. All rooms are fitted with a TV with cable channels. 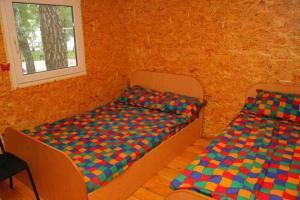 Situated in Chelyabinsk, Horoshy Hostel offers a shared lounge. Located around 10 km from Pushkin City Gargen, the hostel with free WiFi is also 11 km away from Chelyabinsk Academical Drama Theatre. Featuring air-conditioned accommodation with a balcony, Apartment on Prospekt Slavy 34A is set in Kopeysk. Guests staying at this apartment have access to a fully equipped kitchen. Located in Chelyabinsk, 5 km from Pushkin City Gargen, Kolizei Mini-Hotel offers air-conditioned accommodation and a bar. Located around 6 km from Chelyabinsk Academical Drama Theatre, the inn with free WiFi is also 6 km away from Exhibition Hall of Artists Union.